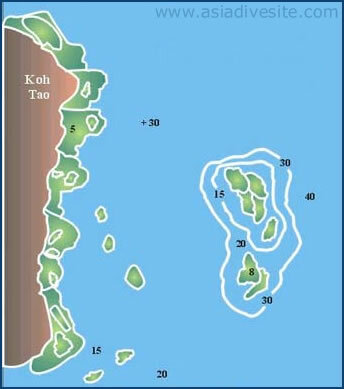 Situated on the east side of Koh Tao is Hin Wong Pinnacle. This site comprises several large granite boulders covered with sea fans and whip corals, as well as filefish, shrimpfish, coral grouper and many other reef fish. You may encounter the resident Green Turtle if you're lucky. The summit is a tabletop rock formation within about 10 metres of the surface and the maximum depth at Hin Wong is around 32 metres.